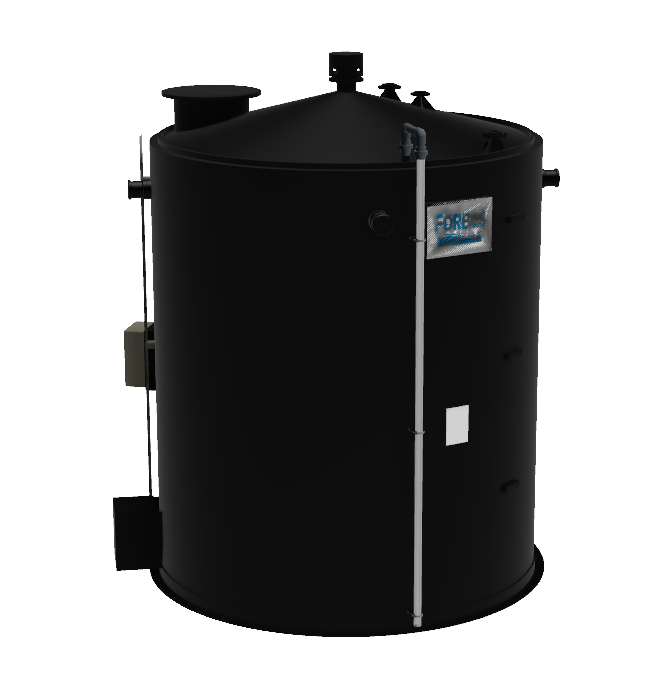 Bunded chemical storage tanks have a secondary containment tank, also known as a bund. For advice on selecting the right tank for your requirements please contact us. The ‘Minibulk’ and ‘Minibulk Plus’ tanks come complete with a 110% integral bund. They are suitable for both low and high pressure deliveries and are available with a full range of optional equipment. Spanning the gap between the tank and bund walls to prevent the ingress of rainwater, if the system is being used outdoors. Can be supplied with access hatches for pipework and valves. 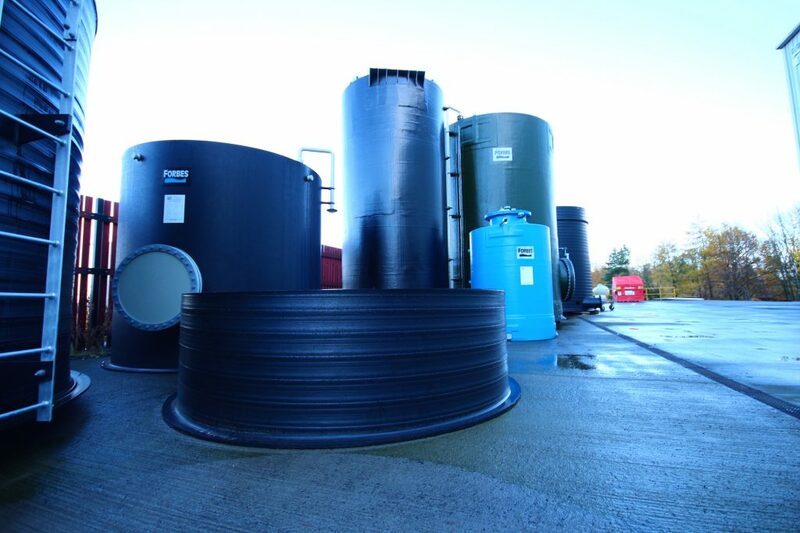 Innatank® is the ground-breaking integrally bunded storage tank. The integral bund allows for total containment ‘over the top’ discharge meaning no low level fittings in the tank wall or requirement for a civil bund. 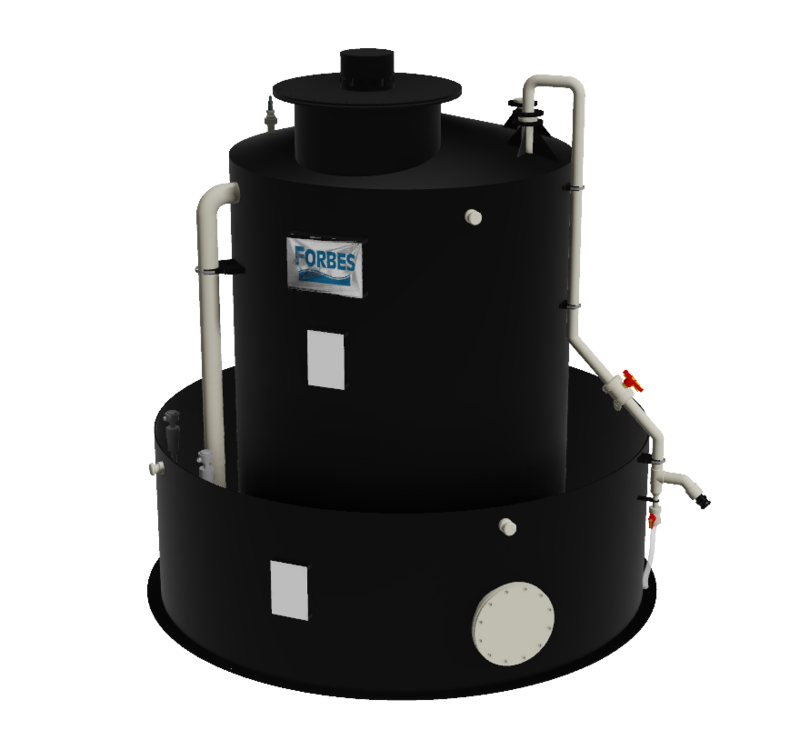 Working closely with major chemical suppliers ensures our customers can be confident that Forbes’ bunded storage tanks surpass all safety and environmental recommendations. 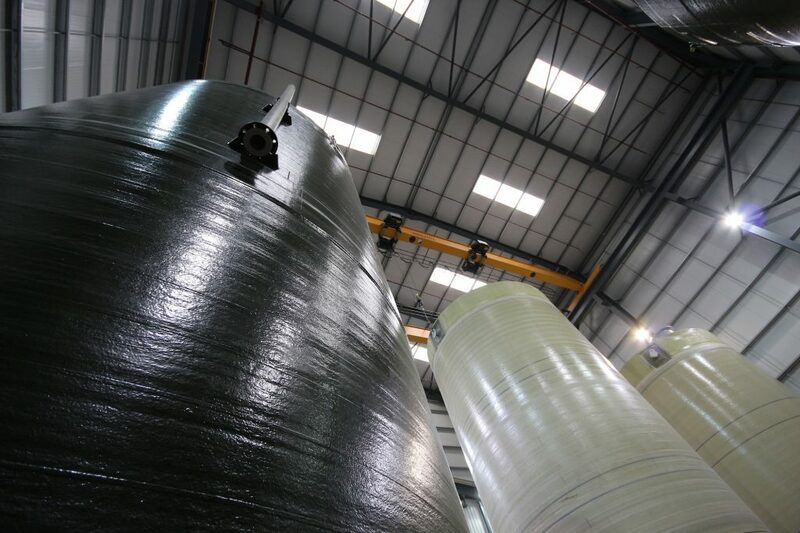 From our UK-based factories we also fabricate and supply fume scrubbers, along with pipework, monitoring gauges, filler stations and everything else required for the safe bulk storage of hazardous chemicals. Whether simple offloading and positioning of tanks and equipment or a full project managed turnkey services. 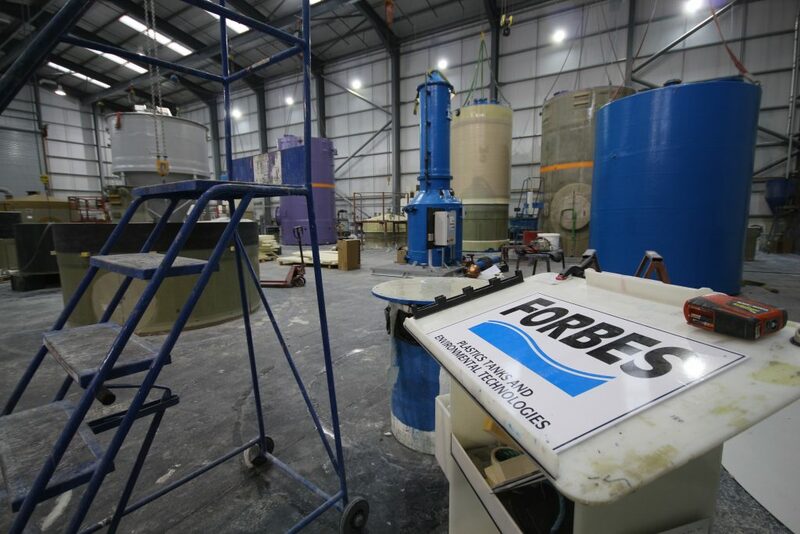 Forbes is able to offer a full range of on-site services to suit all budgets.